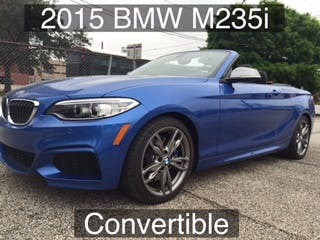 BMW has just released the M235i convertible and it is an awesome converitible to drive around! Packing the familiar twin turbo inline 6 cylinder, it has 320 horsepower and is capable of going 0-60 in 4.8 seconds with the automatic and 5 seconds with the manual transmission. 2) LTE support for faster connectivity for the BMW Online feature.